COURBEVOIE, Frankrijk (BUSINESS WIRE) – IDEMIA, de wereldleider in Augmented Identity, kondigde vandaag een partnerschap aan met MobileIron, de veilige basis voor modern werk, om het beheer van connectiviteit uit te breiden naar MobileIron Enterprise klanten die eSIM-geschikte Windows apparaten gebruiken. De gestage groei van eSIM-geschikte apparaten betekent dat consumenten vandaag de dag de vrijheid en flexibiliteit hebben om verbonden te blijven via een verscheidenheid aan verschillende apparaten. Het betekent ook dat Enterprise werknemers productiever en meer in contact met hun organisatie kunnen zijn dan ooit tevoren. 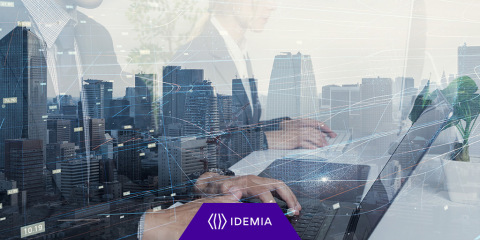 COURBEVOIE, France–(BUSINESS WIRE)– IDEMIA, the global leader in Augmented Identity, today announced a partnership with MobileIron, the secure foundation for modern work, to extend connectivity management to MobileIron Enterprise customers deploying eSIM-enabled Windows devices. The steady growth of eSIM-enabled devices means that consumers today have the freedom and flexibility to stay connected through a variety of different devices. It also means that Enterprise employees can be more productive and in-touch with their organization than ever before. Microsoft announced support for eSIM in Windows 10 at WinHEC 2018. Since then we’ve seen a growing number of OEMs release tablets and PCs with embedded SIMs targeted at the consumer market; however, the Enterprise market presents a unique challenge that Microsoft, MobileIron, and IDEMIA are working to solve. Typically, the responsibility of managing eSIM profiles and cellular connectivity falls on Enterprise IT teams, many of which use a unified endpoint management (UEM) or mobile device management (MDM) platform. Today IDEMIA and MobileIron announce a partnership to bring eSIM and connectivity management capabilities to the MobileIron UEM/MDM platforms. The IDEMIA Smart Connect Hub integrates with mobile network operator (MNO) systems and brings control of eSIM profiles and their subscription plans within the MobileIron portals. This includes browsing and selecting subscriptions, profile provisioning and activation on the MNO network, assigning and re-assigning profiles to devices, and much more. IDEMIA forecasts that by 2025, there will be 1.4 billion eSIM consumer devices (smartphones, laptops, tablets, and wearables) shipped annually. For mobile operators looking to capture market share, a robust and flexible system that can support a variety of use cases – including Enterprise eSIM – is critical. “Microsoft and IDEMIA are working to make it easier for mobile operators to tap into the growing Enterprise market and take advantage of the seamless user experience that eSIM makes possible. The IDEMIA Smart Connect Hub simplifies the integration work between all the players, enabling a broader ecosystem to adopt this new technology,” said Erin Chapple, Corporate Vice President, Platforms Engineering, Microsoft Corporation. IDEMIA’s Smart Connect Platform was designed to be network and vendor agnostic, prioritizing the ability to adapt and meet the needs of mobile operators today and in the future. Smart Connect includes a Subscription Manager (SM-DP+), Entitlement Server, and Orchestration Hub for a complete eSIM lifecycle management solution.